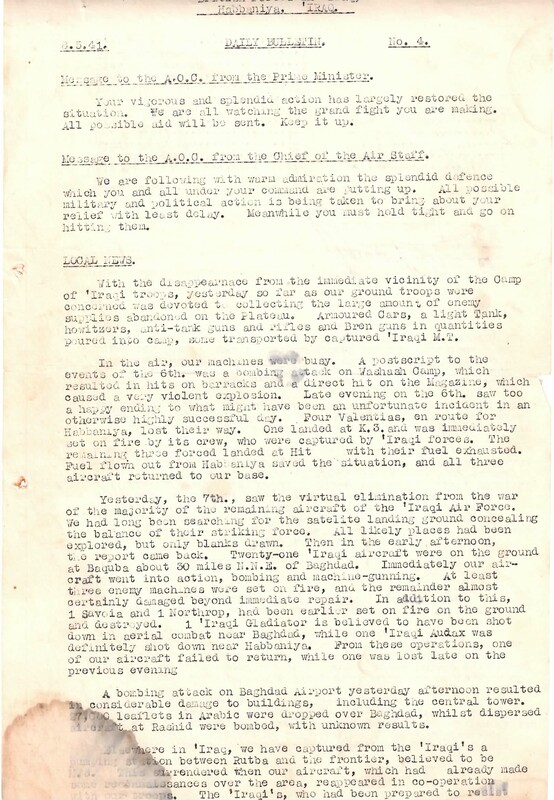 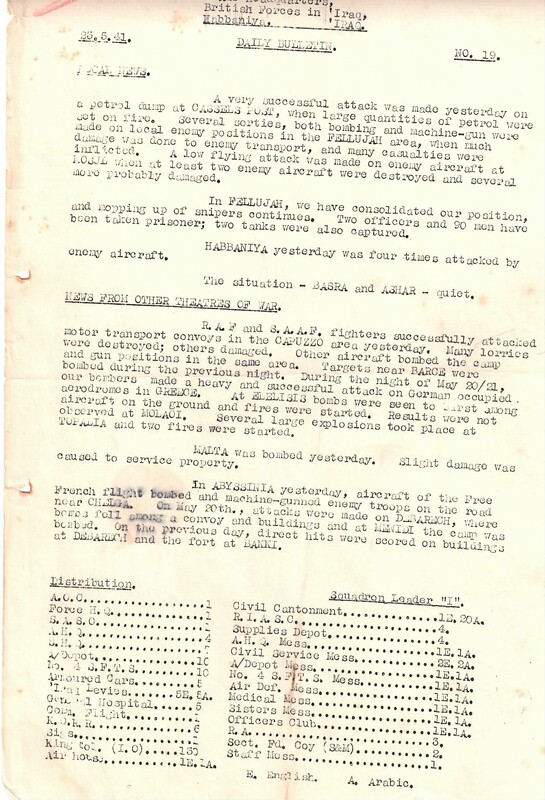 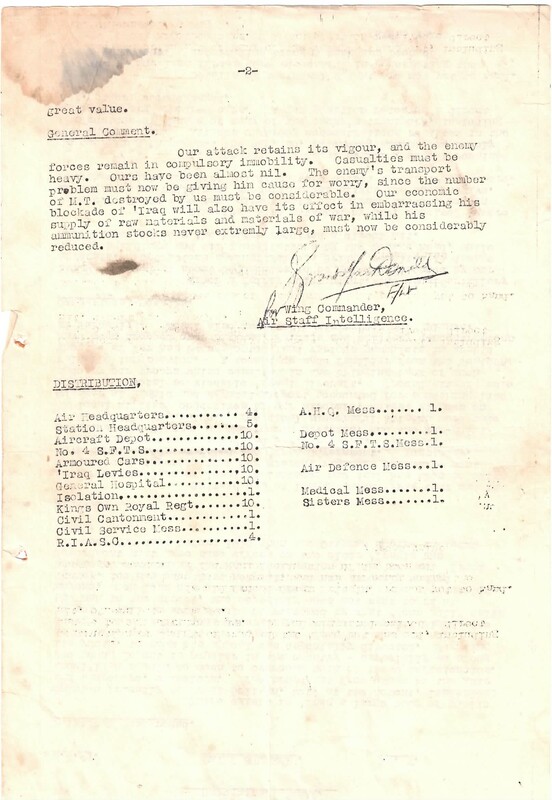 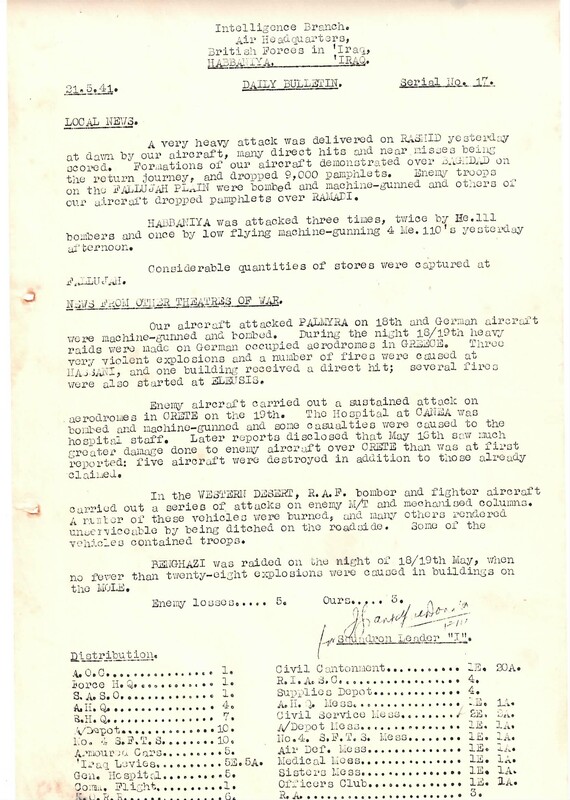 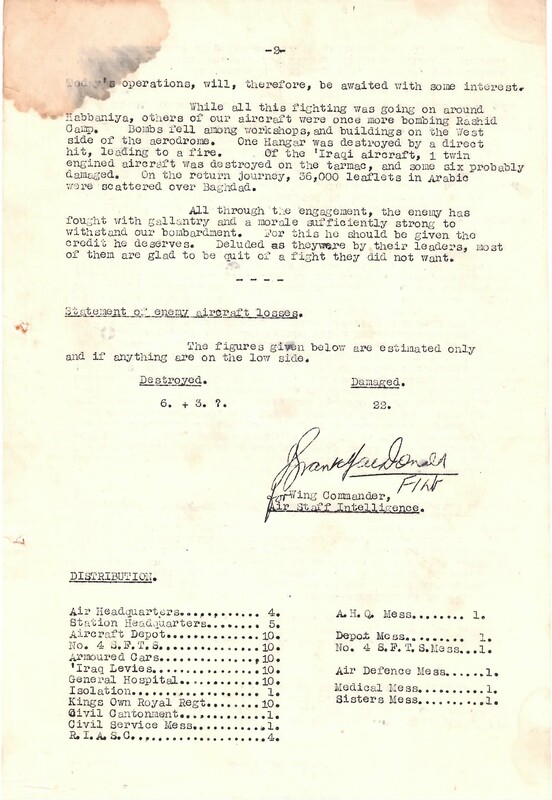 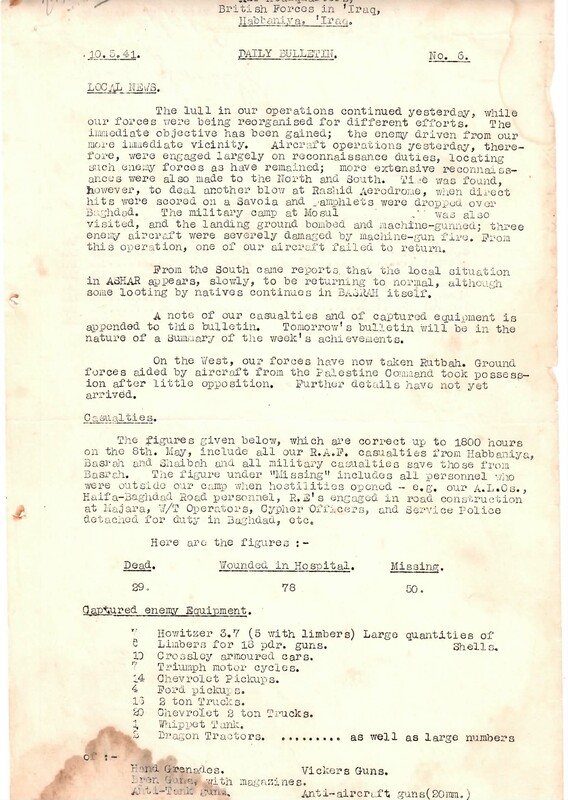 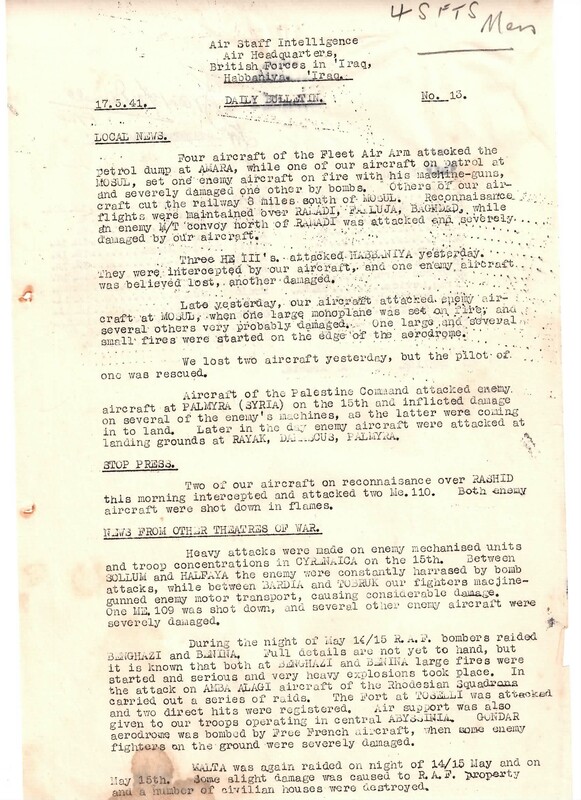 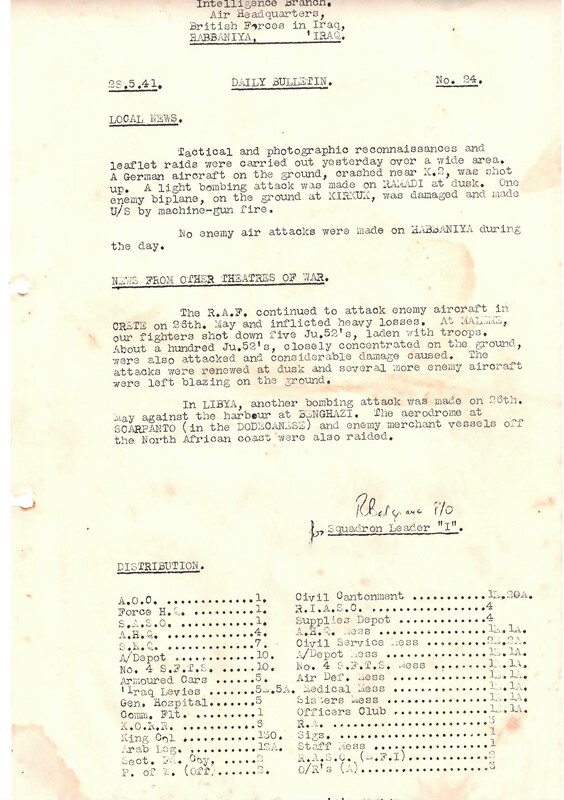 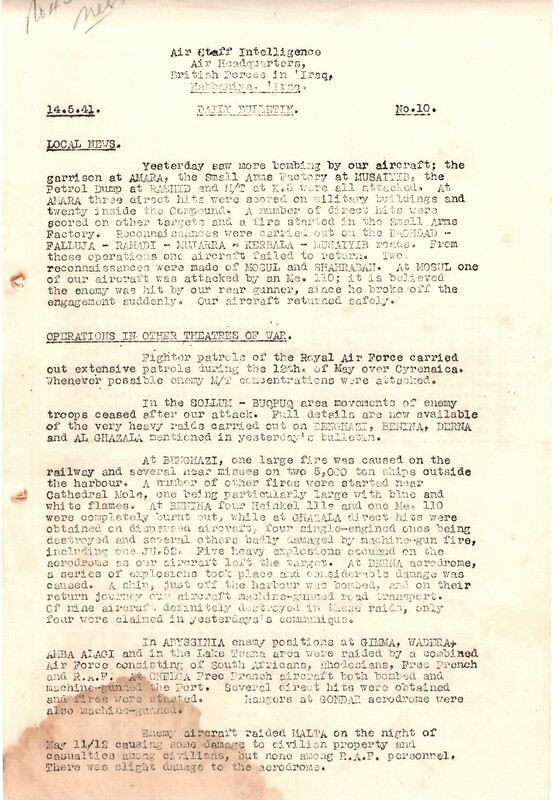 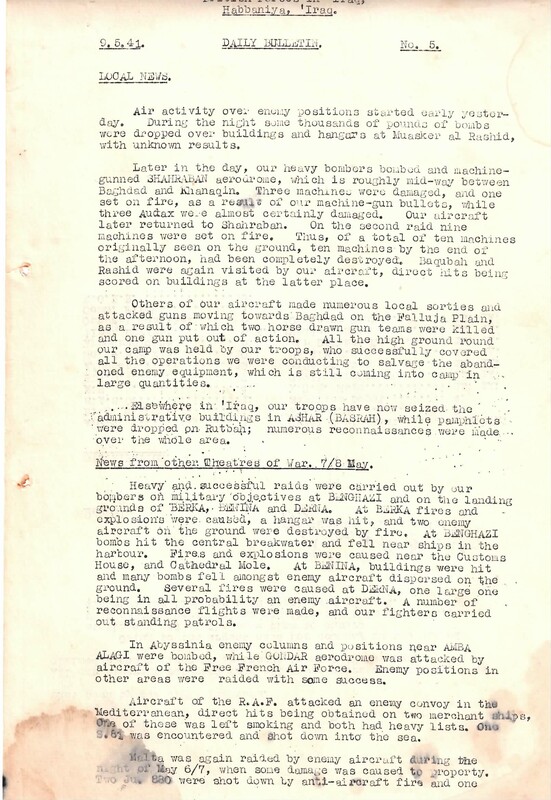 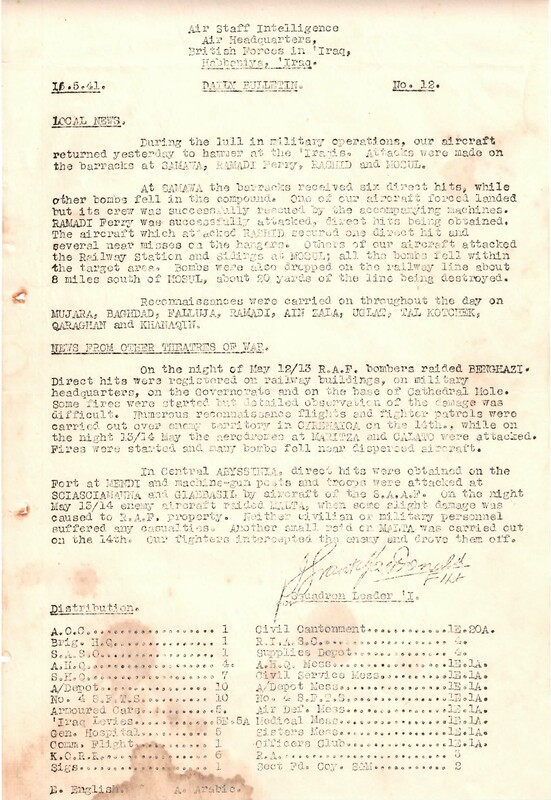 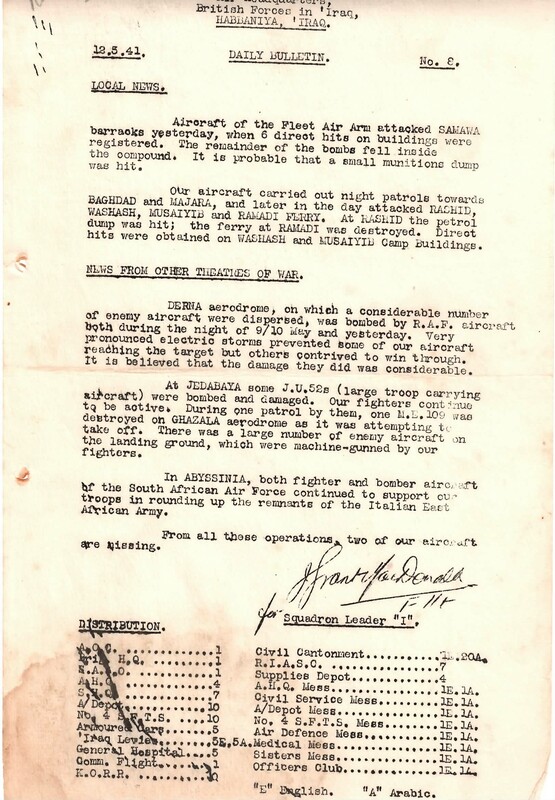 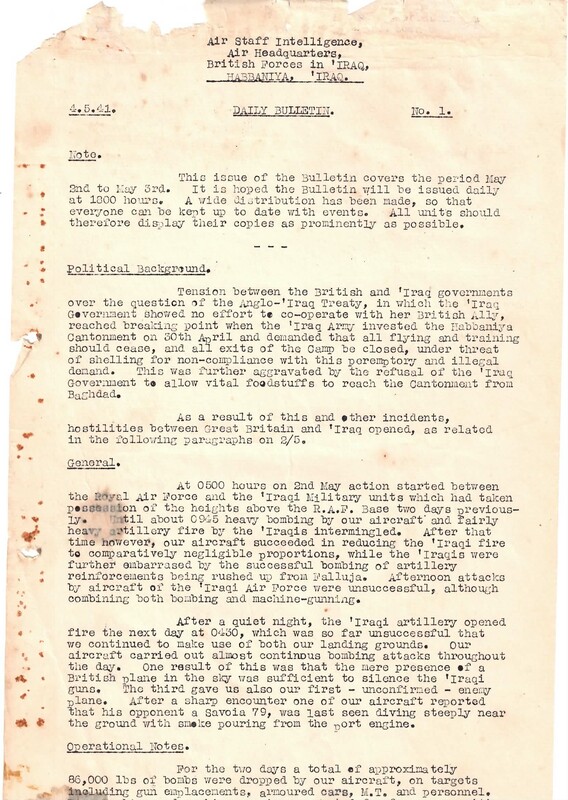 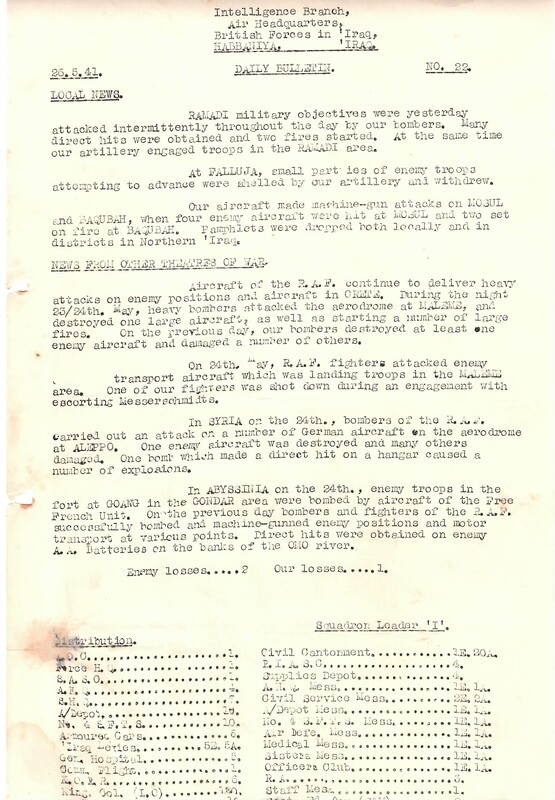 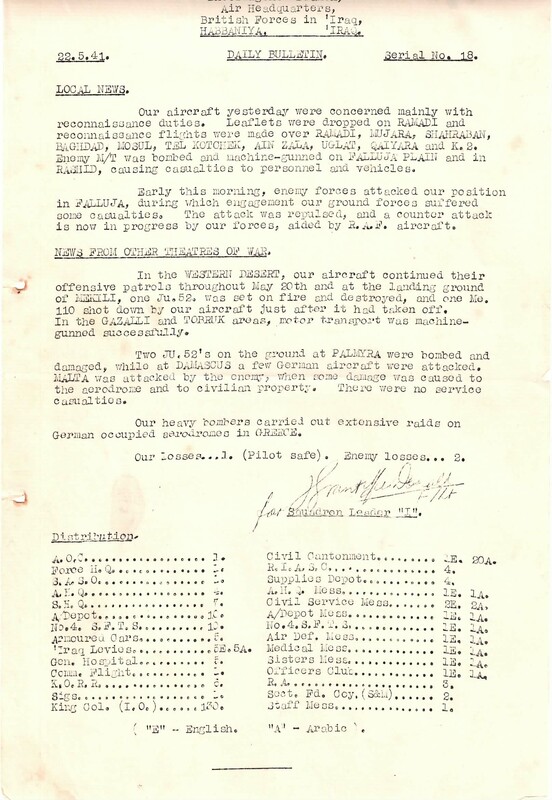 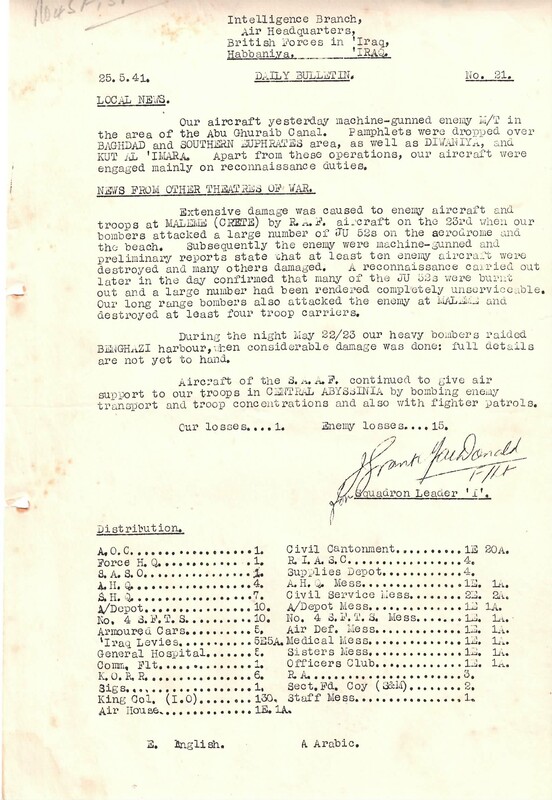 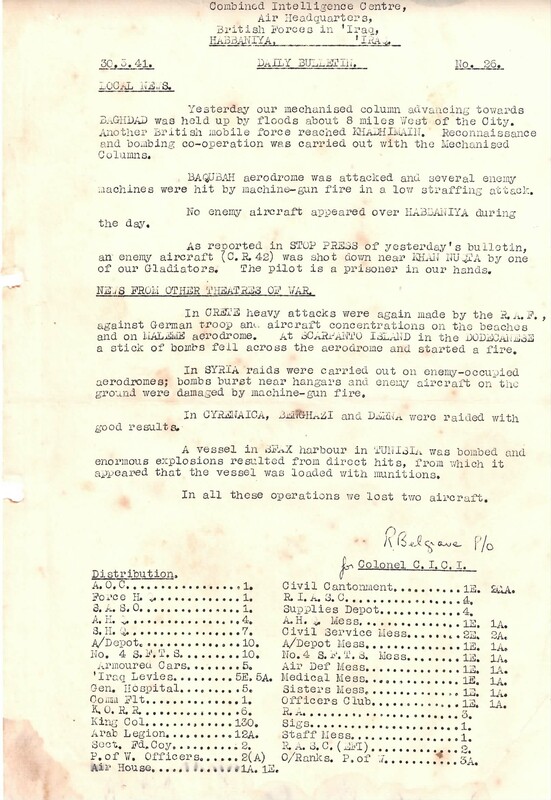 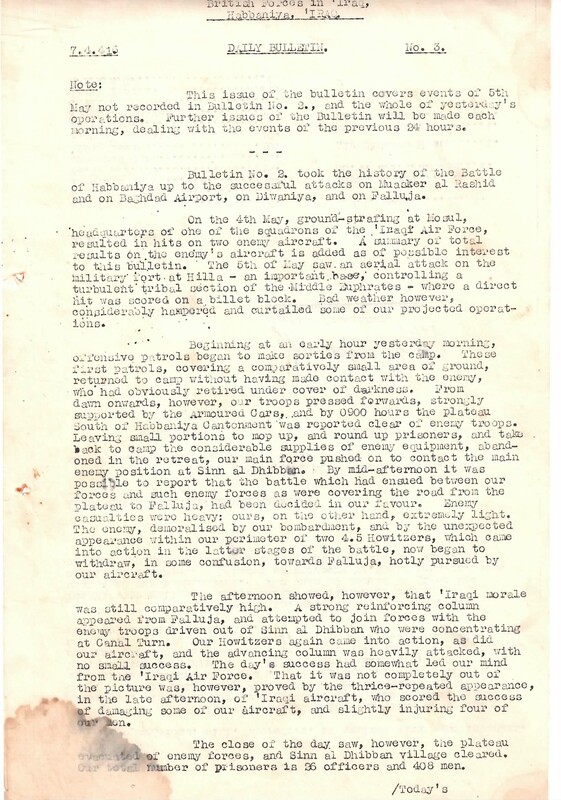 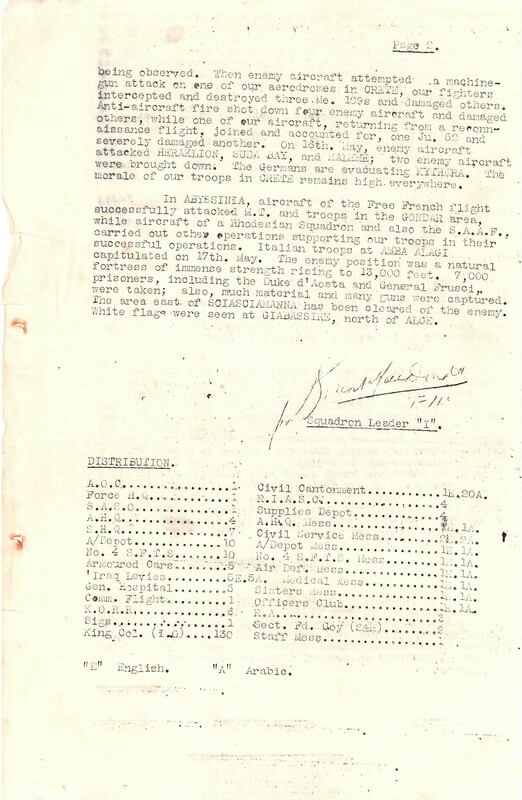 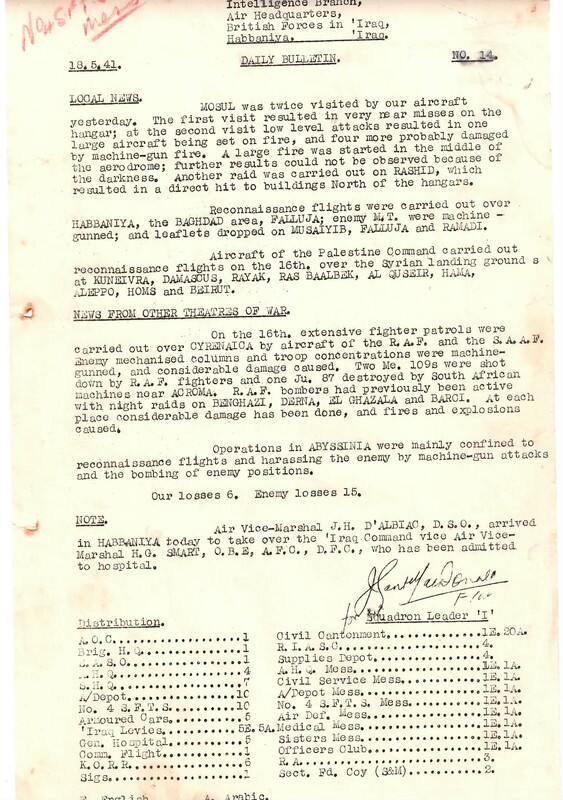 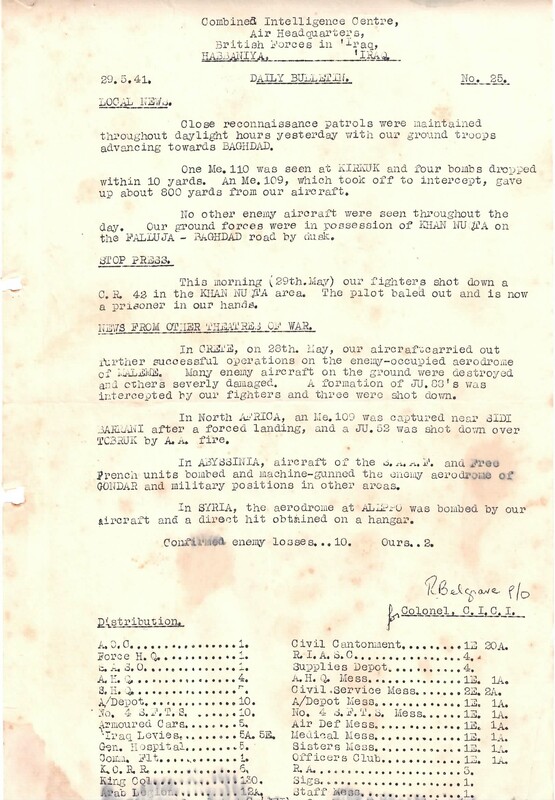 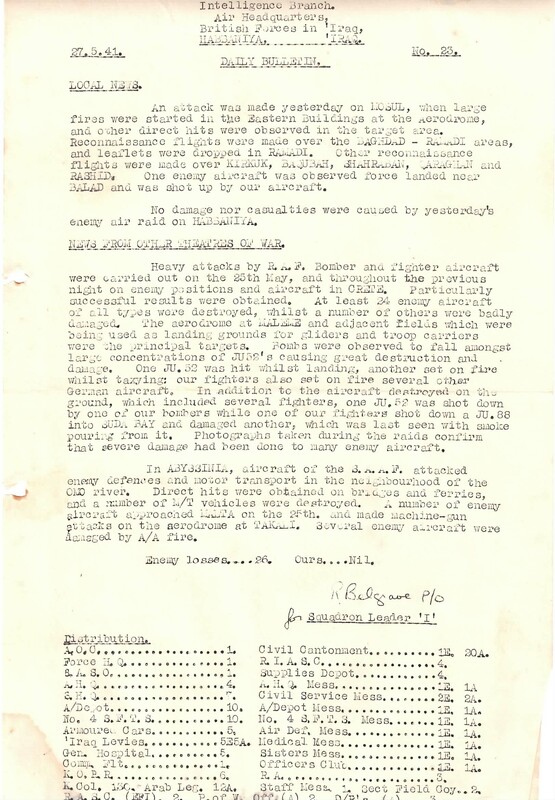 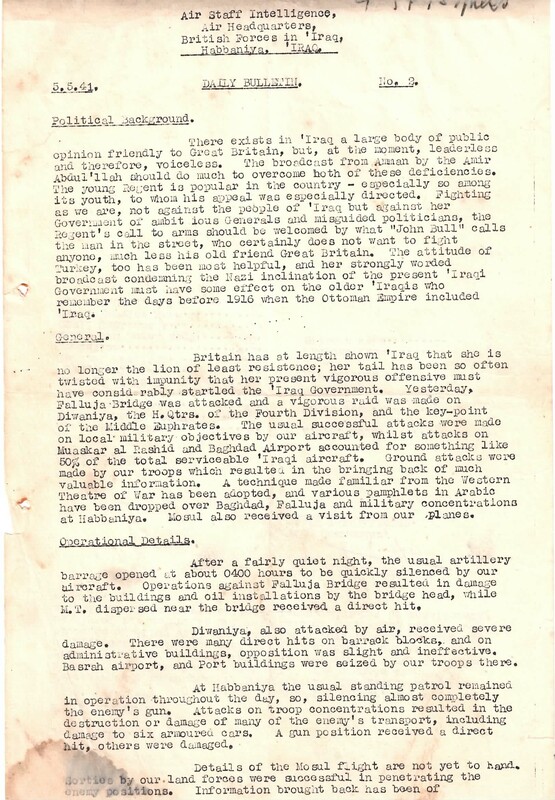 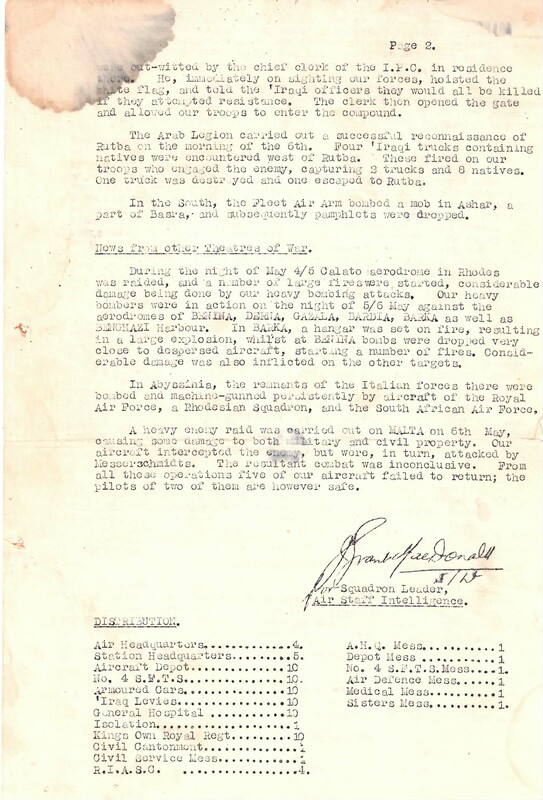 My father kept copies of the daily intelligence bulletins that were issued to RAF Habbaniya during the battle of Iraq in May 1941. 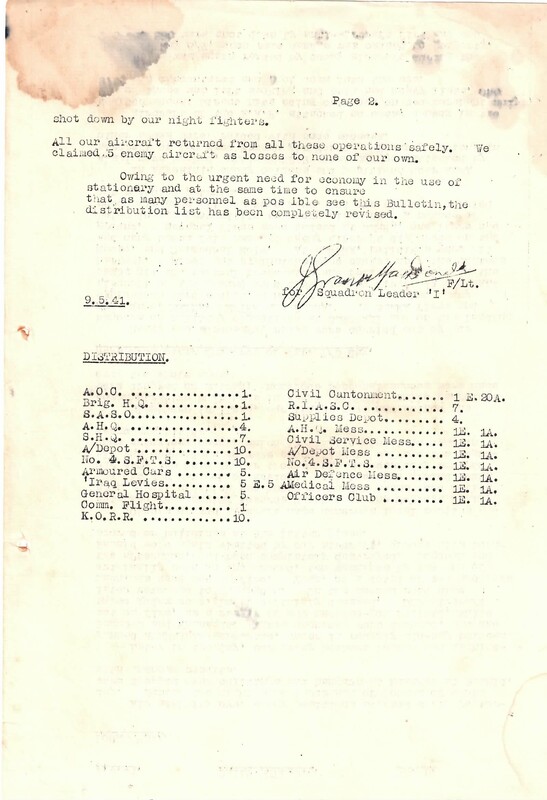 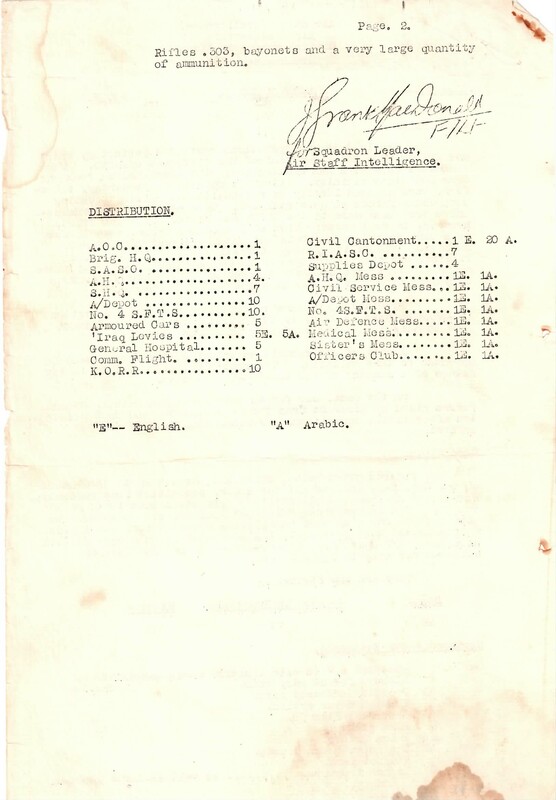 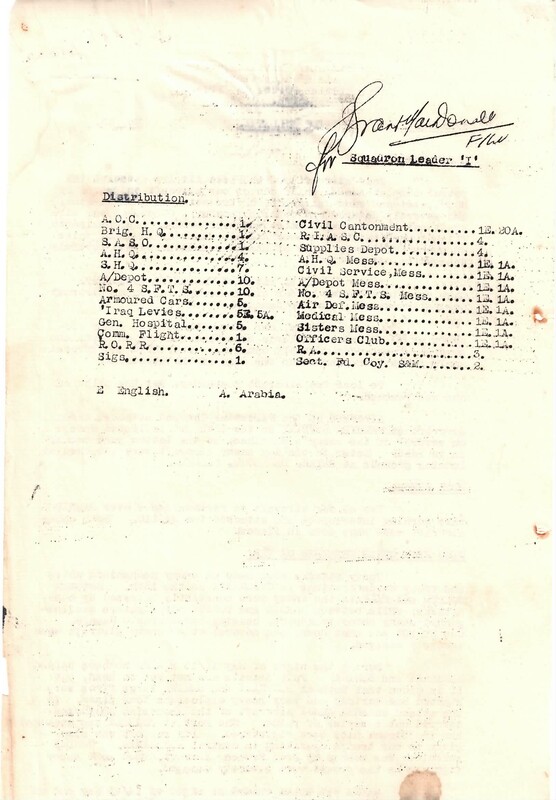 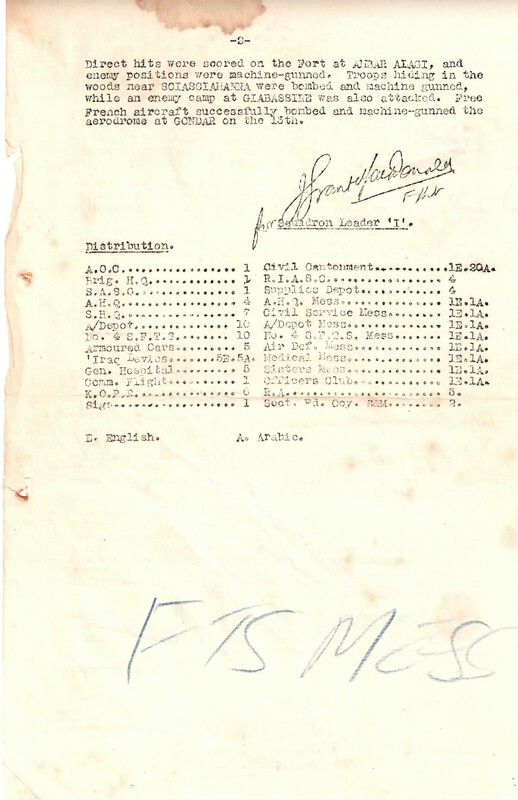 Most of the copies are marked ‘Officers Mess’, so presumably my father sequestered them – or possibly he was given them in order to write the semi-official history of ‘C’ Squadron (of No. 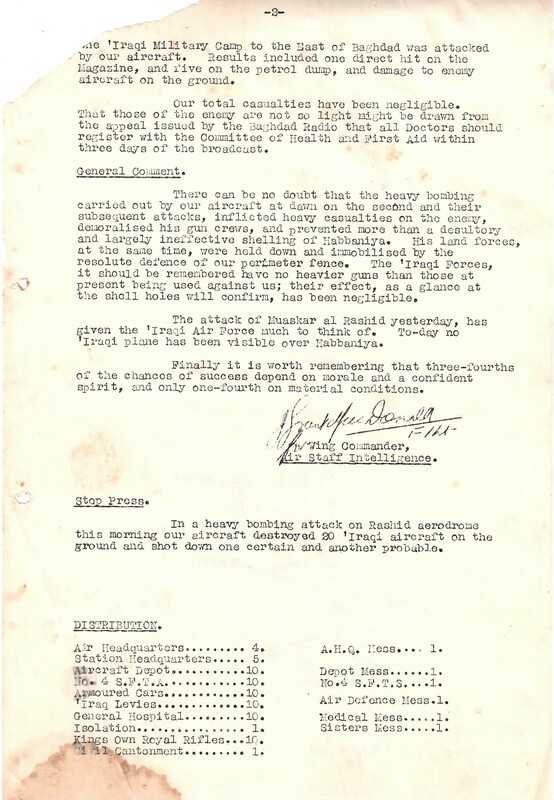 4 FTS) during the battle of Habbaniya, which he co-authored with Allan Haig. 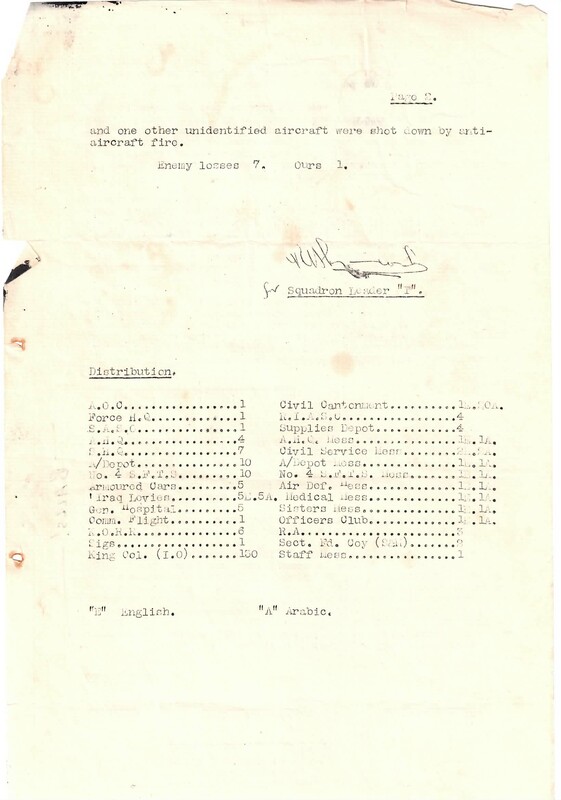 Is there anywhere I can get hold of this history of “C” Flight? 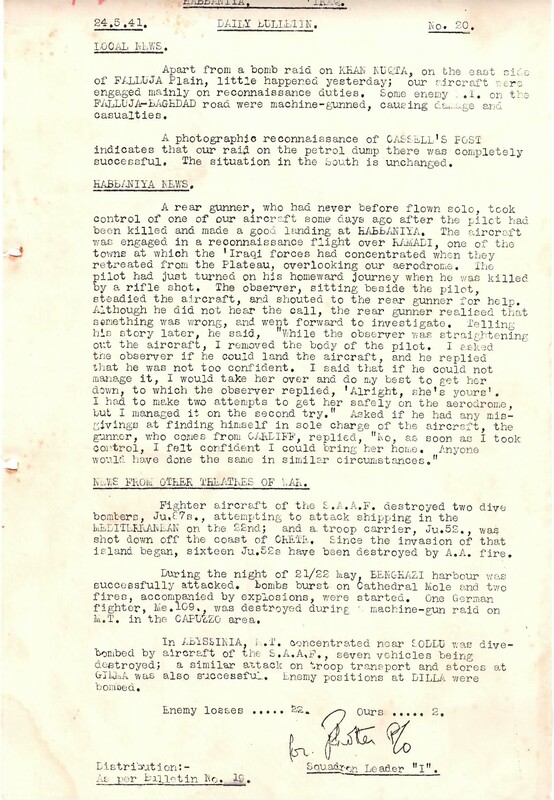 Hi Peter – thanks for your comment. 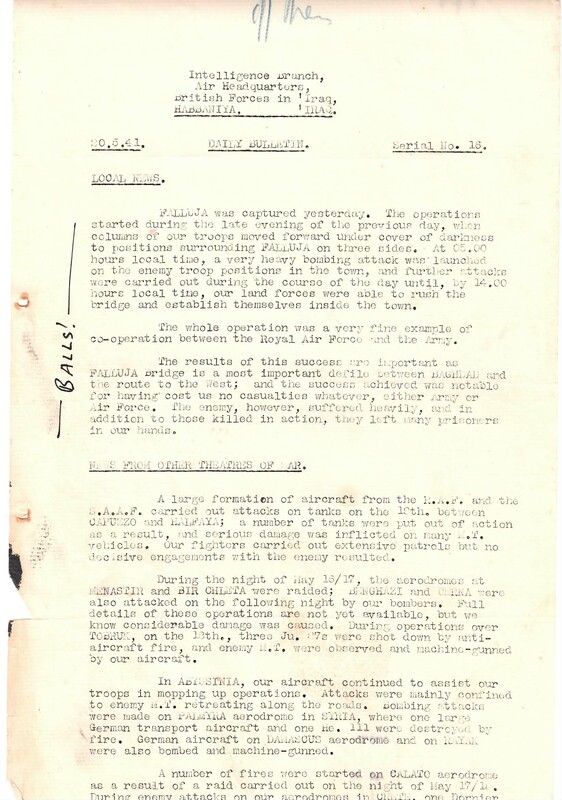 Yes, I have some scans of it – I will put it up next week if I can. 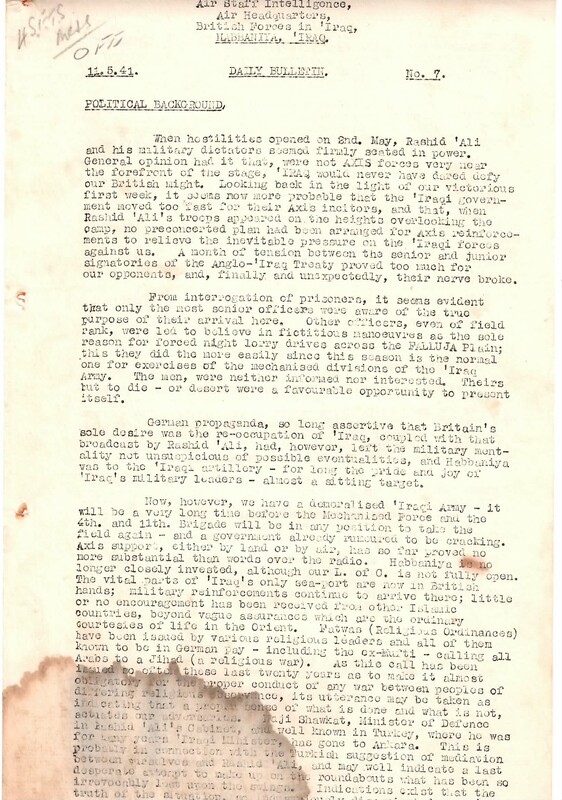 The original belongs to Mark Cremin, the son of Dan Cremin. 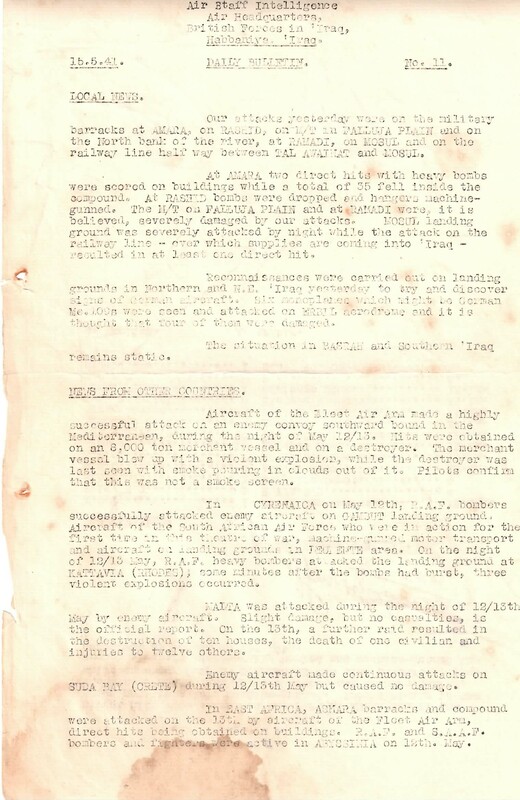 And by the way – these intelligence reports are absoloutely amazing material. 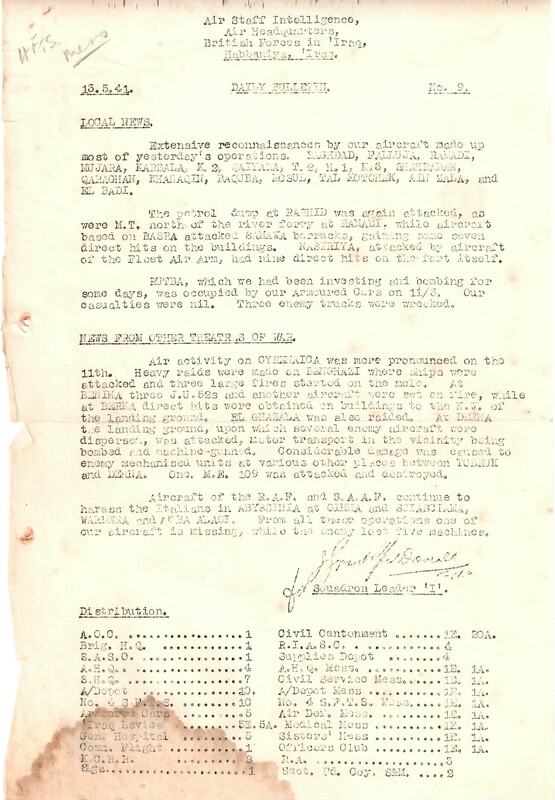 Many thanks for putting them up. 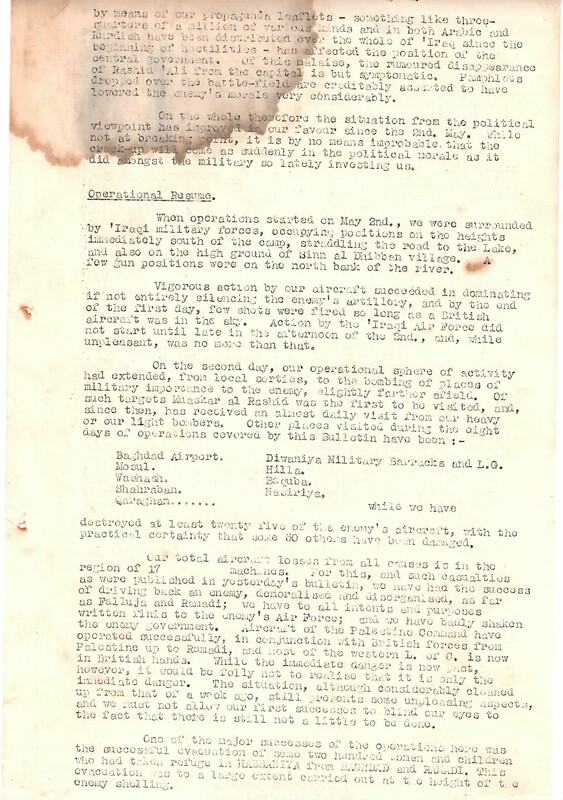 my father .douglas stevenson hughes ,was at raf habbaniya.an lac.instrument technician ..wrote a poem ..about the seige..starts ..twas on an april morning in 1941..full details r on the net ..or conntact ..me his son at ..marvin@interart.org .uk dad died a few years ago ..is denny ,out there any where used to live in reading..both survived w w 2 ..both at habbaniya and great mates. 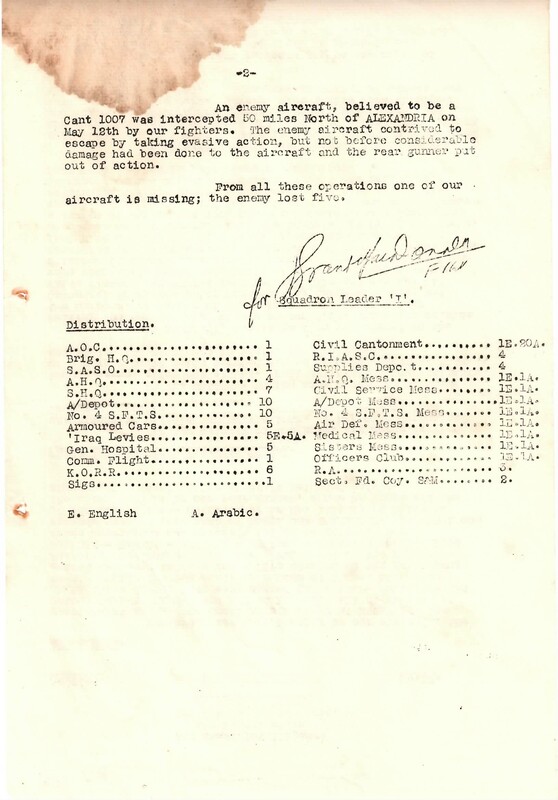 He was in the RAF? 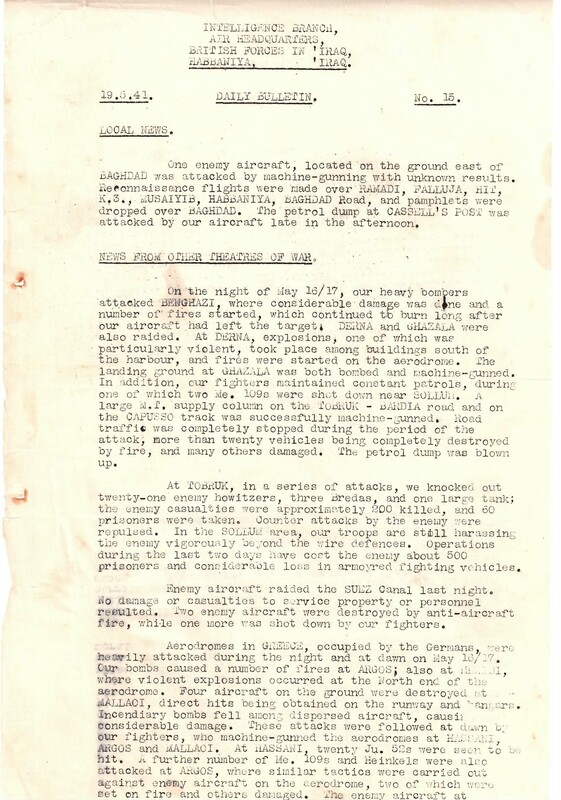 Do you have photos from the period? 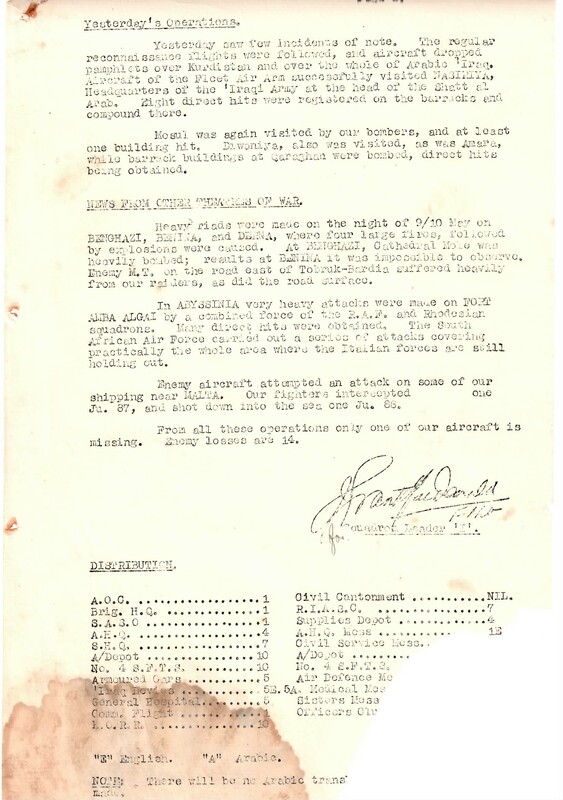 does any one remember doug hughes..?